LivingSocial.com has been better to me than Groupon, Signpost, and KGB these past couple of weeks. This morning, I got hit with yet another useful deal. 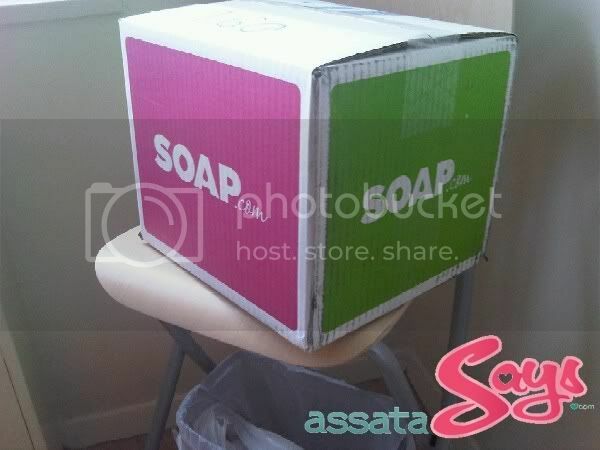 I wrote about Soap.com back in February and how convenient a service it provides (shipping household goods to your home at discounted prices). Today, you can purchase a voucher on LivingSocial.com for $10 and receive a code that will allow you to spend $20 on Soap.com. If you remember my original post about Soap and have been wanting to try them out, now is the time to do so. I’ve already purchased my deal. You have until 4am tomorrow, Tuesday, June 28, 2011 to purchase this deal before it expires. To get to it, click here. This entry was posted on Monday, June 27th, 2011 at 10:00 am	and is filed under SALES AND PROMOTIONS. You can follow any responses to this entry through the RSS 2.0 feed. Both comments and pings are currently closed.